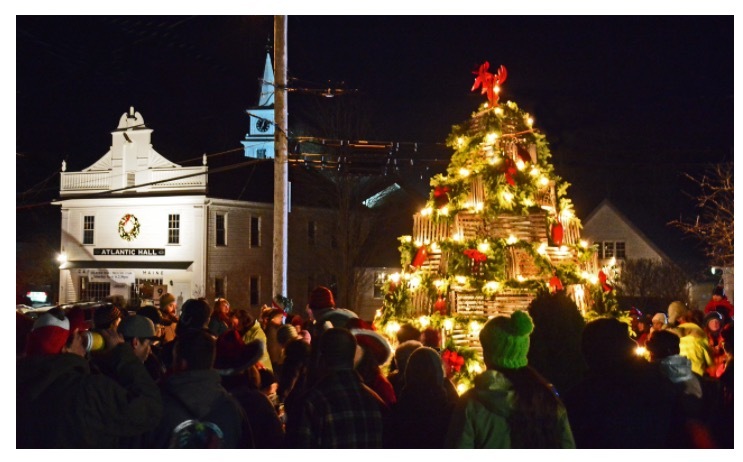 Kennebunkport’s Annual Christmas Prelude in Kennebunkport, Maine, truly represents everything great about the holiday season. The 2018 version will be no exception as the Christmas Prelude takes place from Nov. 29 to Dec. 9. 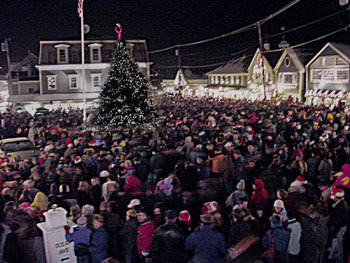 Once billed by Home and Garden Television (HGTV) as one of the “Top 10 Christmas Towns in America,” Kennebunkport’s Annual Christmas Prelude serves as the primary holiday event in this charming coastal Maine town and has gifted people from all over the world with its mix of traditional and truly unique Christmas activities and attractions. Sure, you’ve seen tree lighting ceremonies before, but how about one that brightens Dock Square, one of New England’s most picturesque small town, downtown districts? Yes, you’ll see many familiar Christmas season “bells and whistles” like caroling, holiday concerts, gingerbread house making, fireworks, Mr. and Mrs. Claus visits with the kids, craft fairs, ornament decorating and bonfires, but how about Santa arriving by lobster boat escorted by two lobster elves? 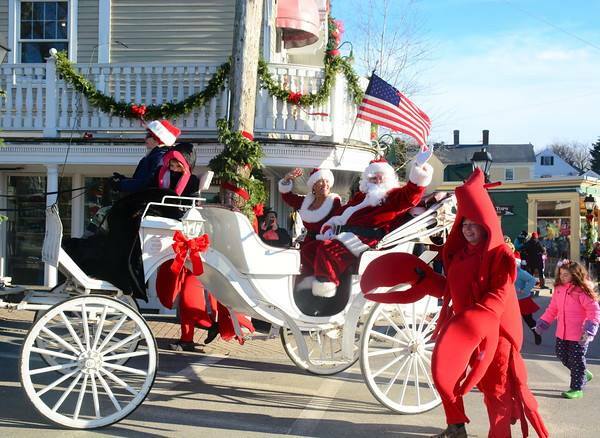 Or, how about experiencing a blueberry pancake breakfast, Down East lobster bake, a fish chowder supper, open houses at oceanfront properties, and a lobster trap tree lighting ceremony (a tree made out of lobster traps) just down the road at Cape Porpoise? Imagine a variation of a nativity scene where South Church youth present a nativity tableau complete with live animals. 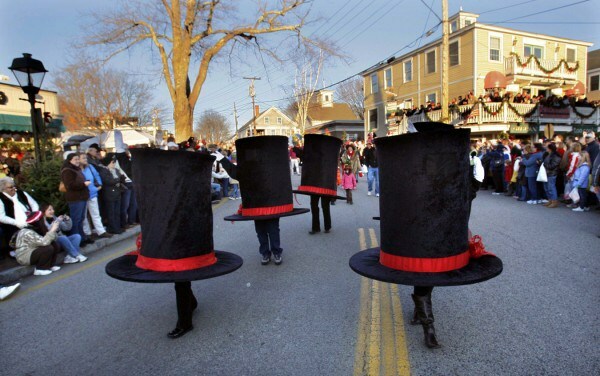 Given that Kennebunkport gets cold around the winter time, what about the Hat Parade where locals and visitors show off their handmade or store bought creations? Keep in mind, too, a breakfast with Mrs. Claus and the Elves, a Pooch Parade with pets wearing their favorite holiday attire, ice sculptures, and the Walk to Bethlehem — a candlelight procession that “follows Mary and Joseph as they seek shelter at three historic inns only to be turned away and finally shown to a manger; hymns, carols, and scripture readings followed by hot chocolate and cookies,” according to the Christmas Prelude web site. What if we told you that all the Christmas events and attractions mentioned in this post are just a fraction of all the activities going on here? The creativity is off the charts here and plentiful, thus making Kennebunkport’s Christmas Prelude a virtual one-stop indoor and outdoor shop — a surefire way to get in the holiday spirit. Speaking of “shop,” remember, too, that Dock Square is filled with wonderful little mom and pop stores — many boutiques, shops and galleries really get to shine with festive holiday refreshments and seasonal sales. 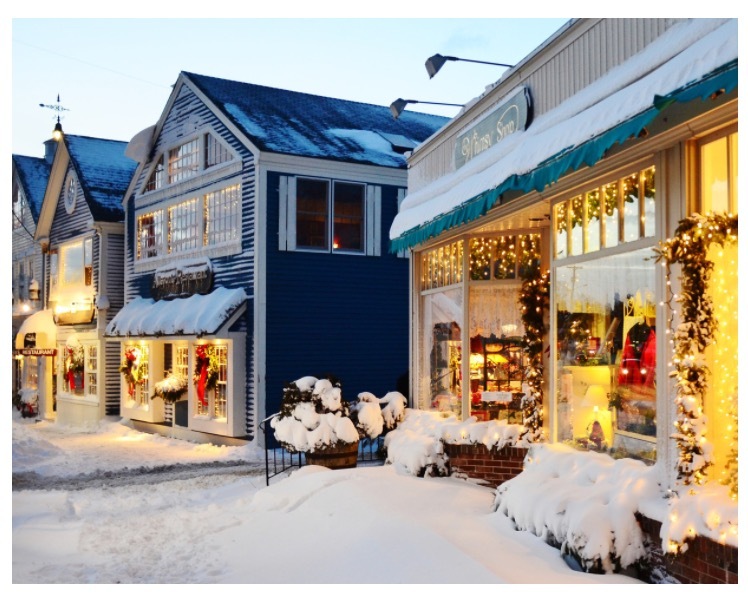 As if this wasn’t all enough, Kennebunkport shares its innate down-to-earth hospitality with locals and visitors by making everything convenient and comfortable,including trolley shuttles, festive hand-knitted hats for sale, cups of hot chocolate, and religious services at local churches.